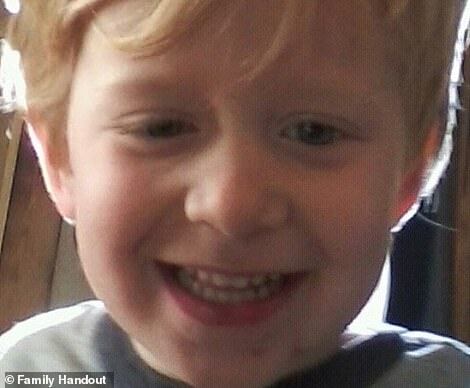 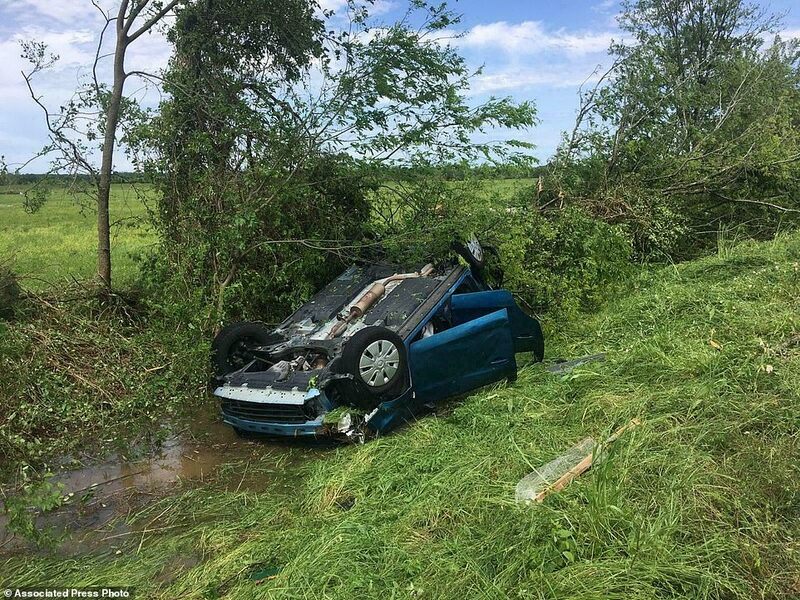 Jace, three, and Dilynn Creel, eight, were were crushed to death in the back of their family's car in Lufkin, Texas, when a tree toppled, according to the Angelina County Sheriff's Office. 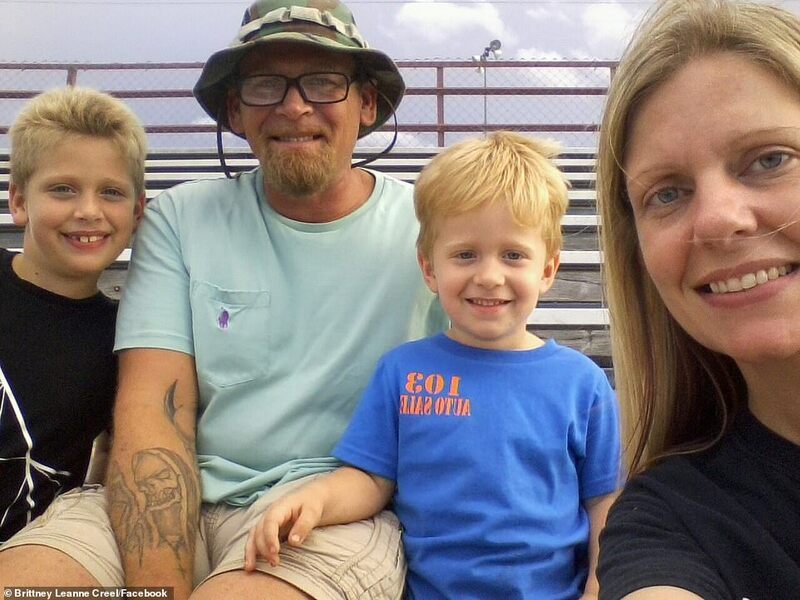 A GoFundMe campaign set up for the boys' heartbroken parents, Brittney and Edward Creel, who were in the front seat but made it out physically unharmed, raised $1,700 toward its $20,000 goal in just three hours on Sunday morning. 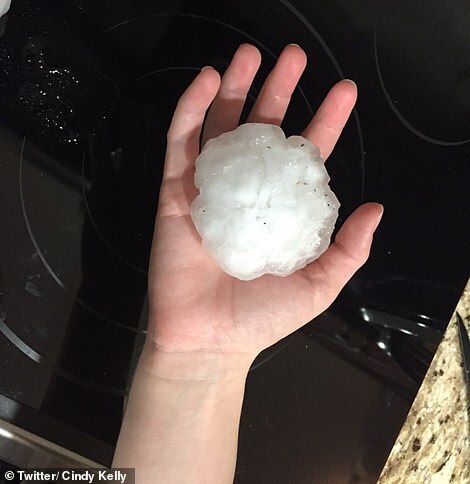 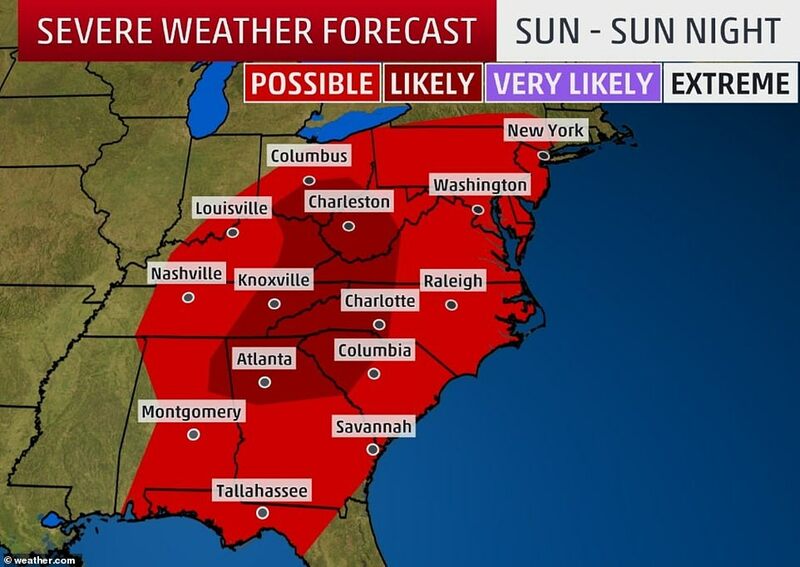 'Potential for widespread severe thunderstorms Sunday across much of the Eastern US,' the National Weather Service tweeted. 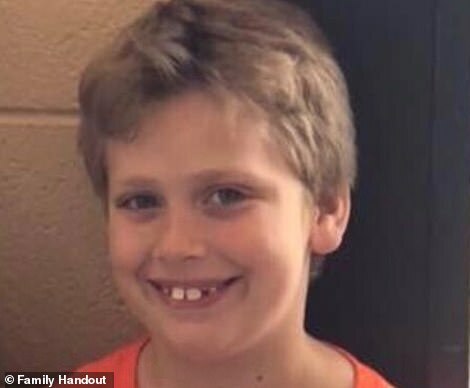 In addition to the two boys killed in Lufkin, another 13-year-old boy drowned in a drainage area in West Monroe, Louisiana, in what officials believe was a weather-related incident. 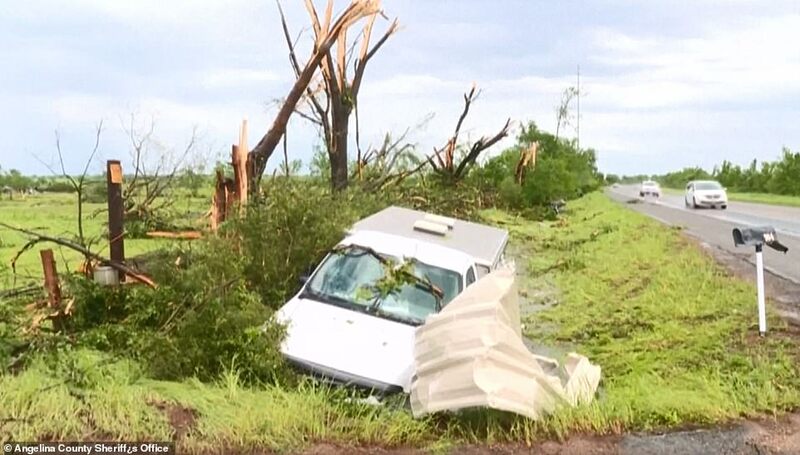 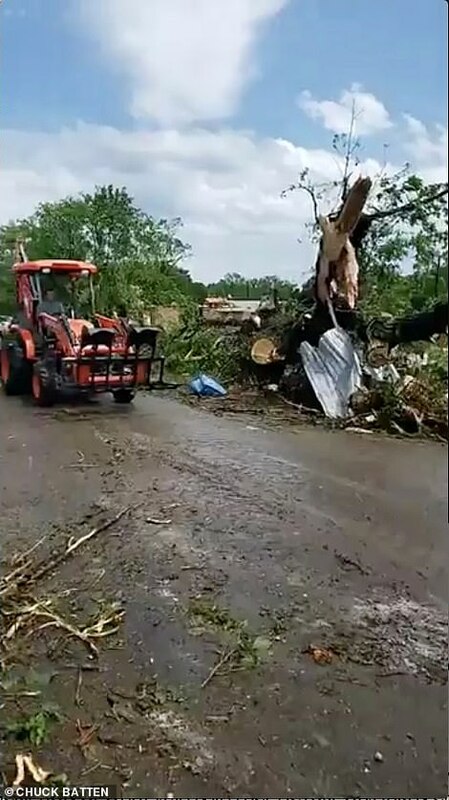 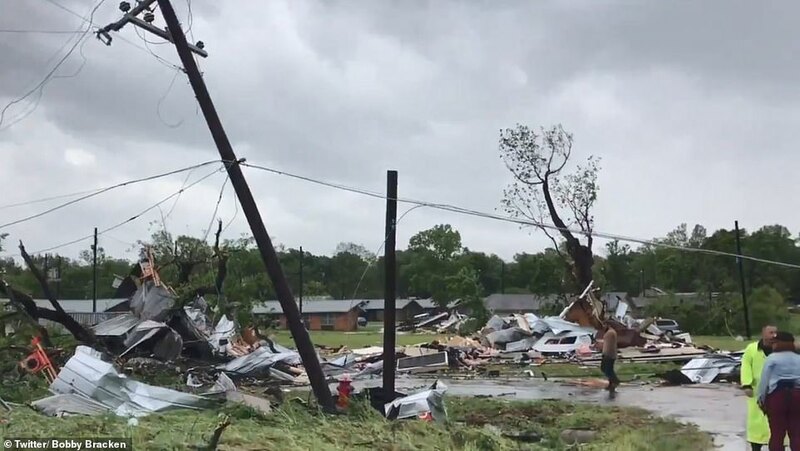 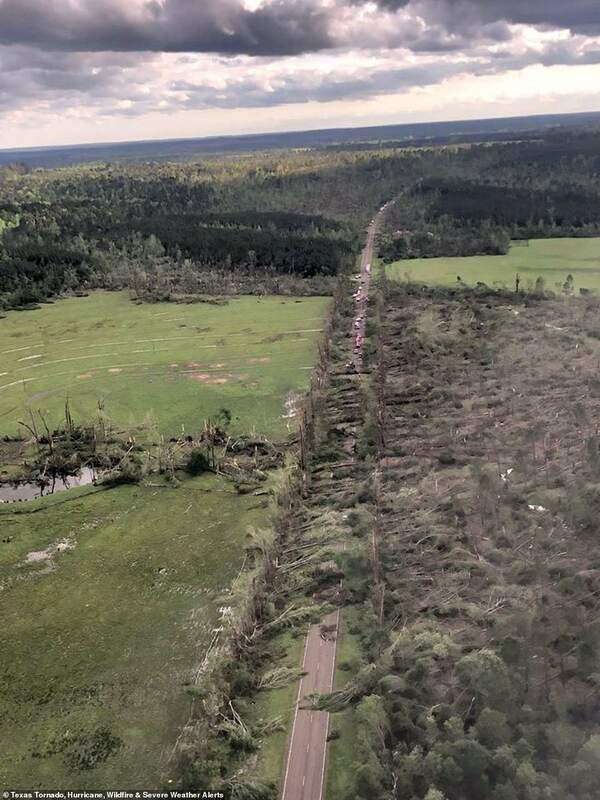 Two people were also killed overnight in Monroe County, Mississippi, as a tornado tore through Hamilton, about 45 miles northeast of Mississippi State University. 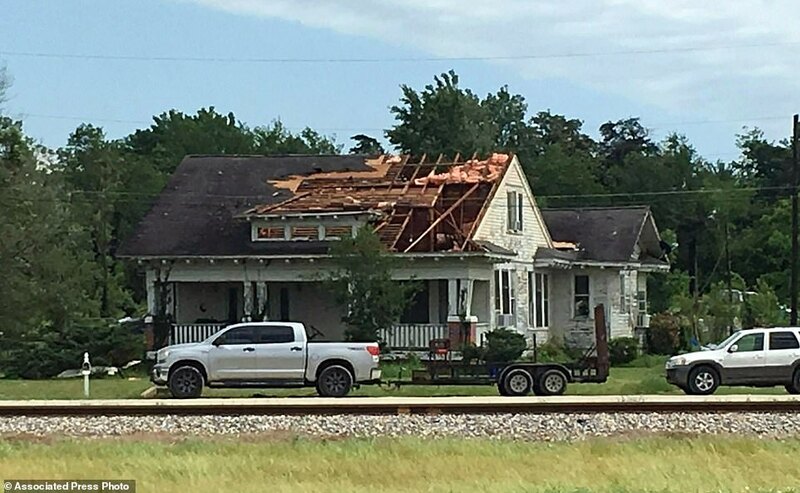 In Alto, Texas, 25 people attending a field day were hospitalized with injuries. 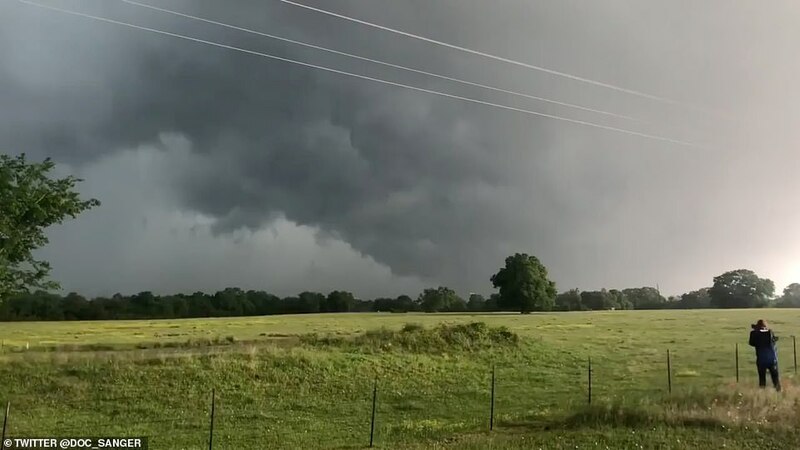 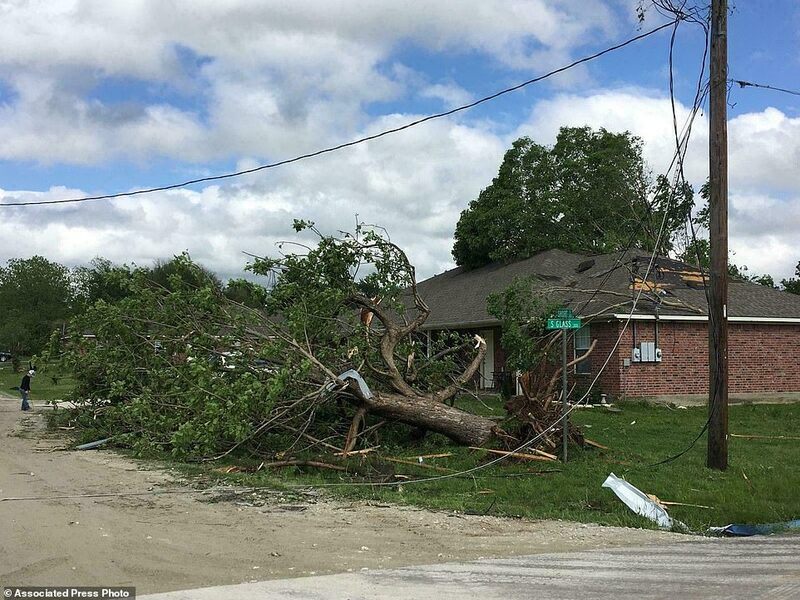 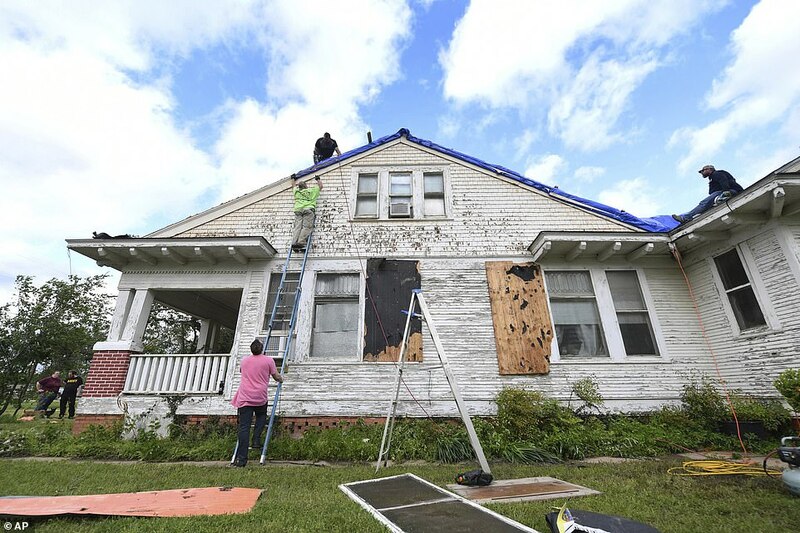 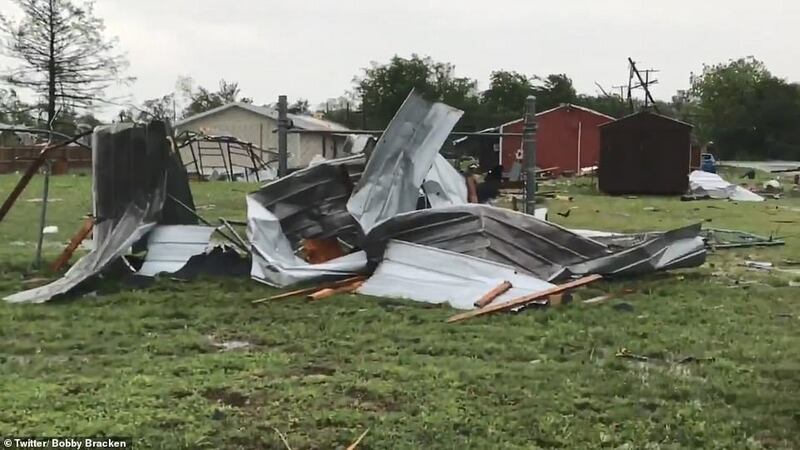 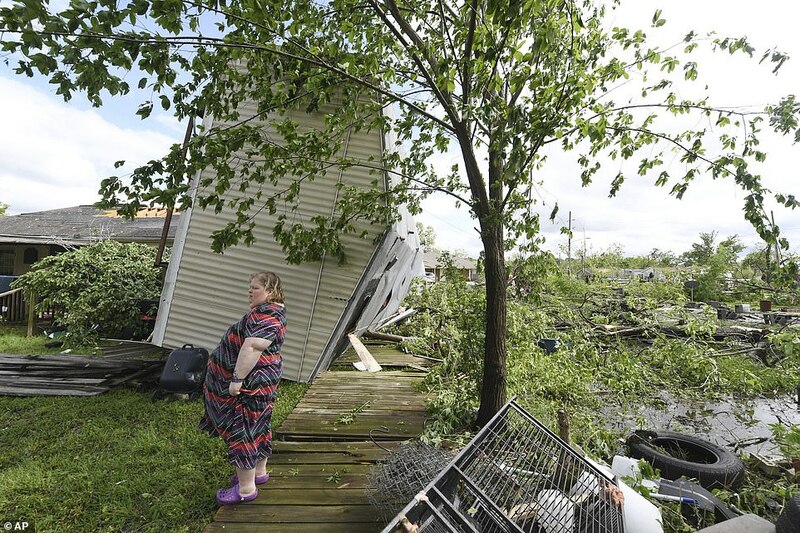 In Central Texas, Robertson County Sheriff Gerald Yezak said a tornado hit the small city of Franklin, overturning mobile homes and damaging other residences. 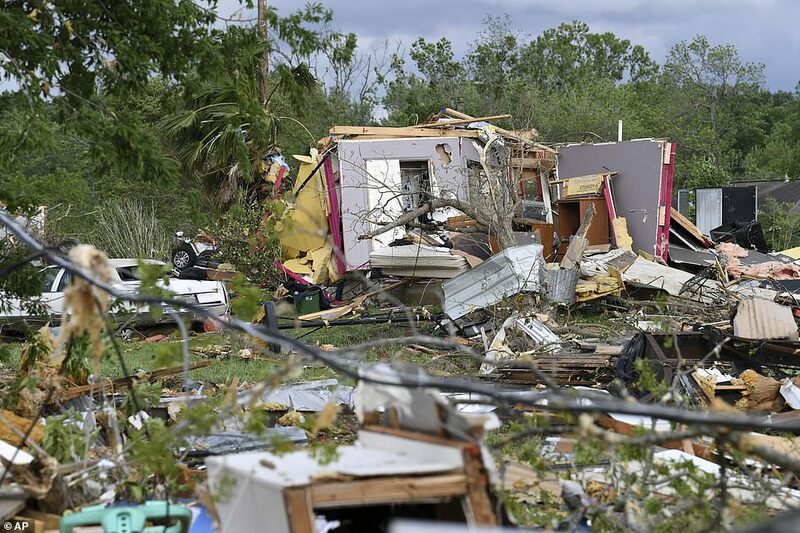 One mobile home was reportedly ripped from its foundations with a person inside. 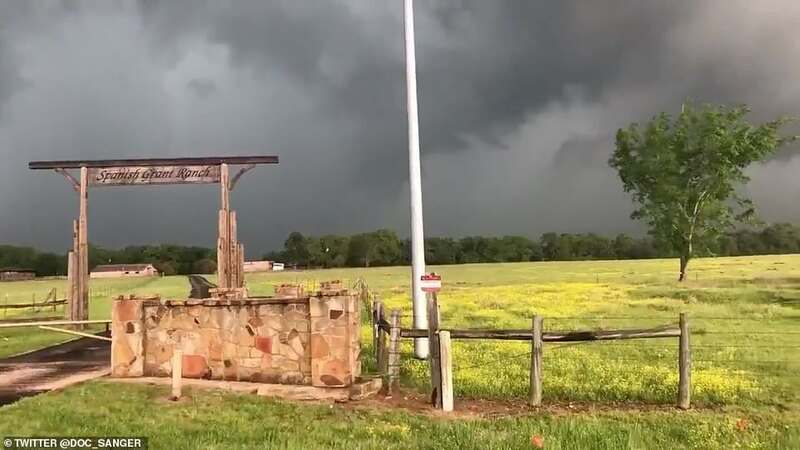 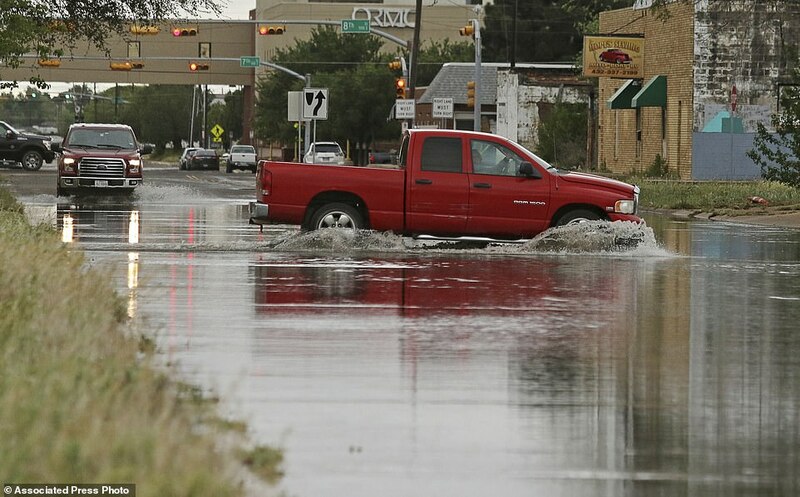 Franklin is located about 125 miles south of Dallas. 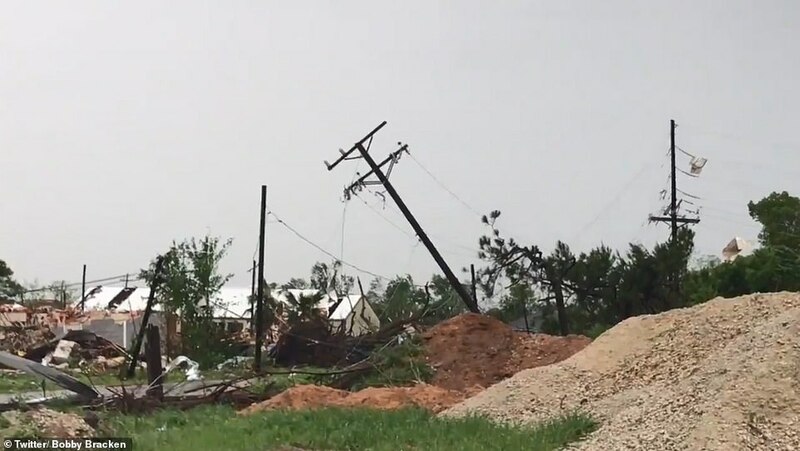 Weather service meteorologist Monique Sellers said they had received reports of downed trees, as well as damage to buildings and a transmission tower. 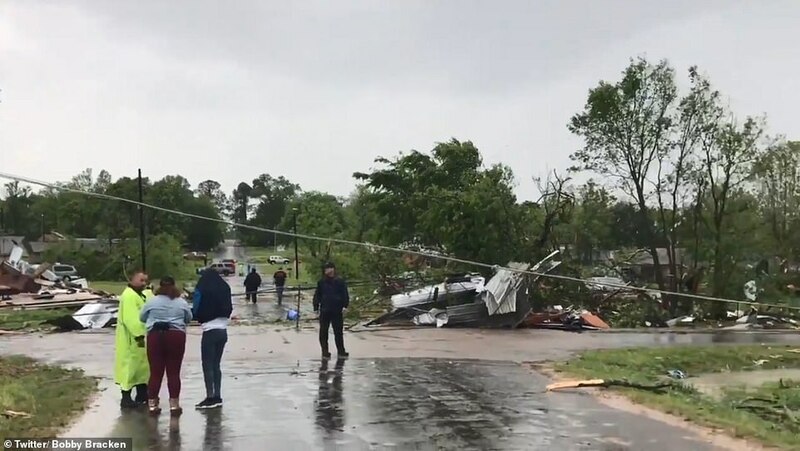 At Mississippi State University, officials say there's some debris from a possible tornado but no injuries or building damage. 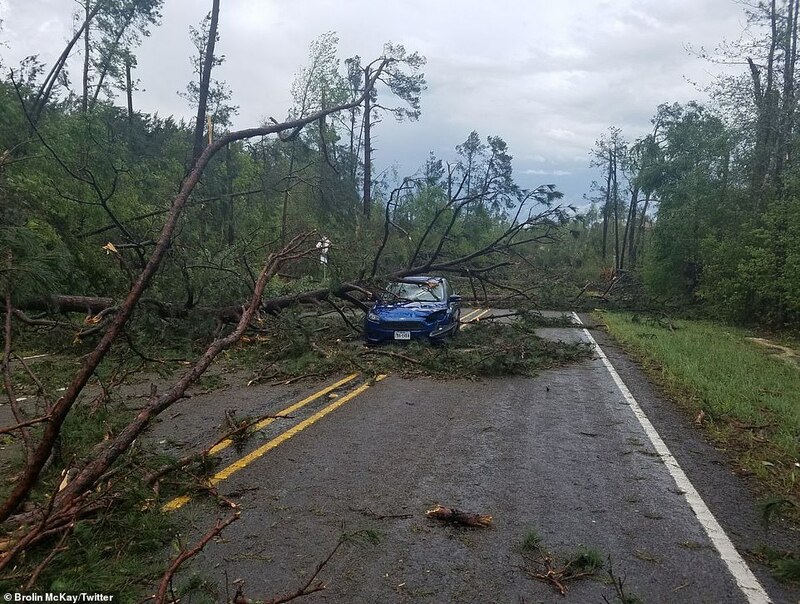 Residents reported trees down and at least some minor structural damage to residential areas nearby, including some areas where students live off campus. 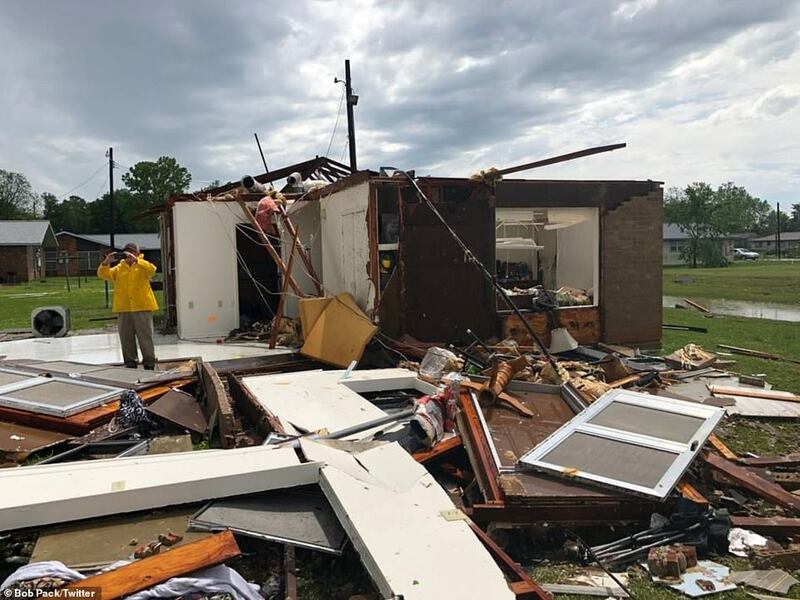 Mississippi State spokesman Sid Salter says university officials are still looking for damage, especially in outlying areas of campus. 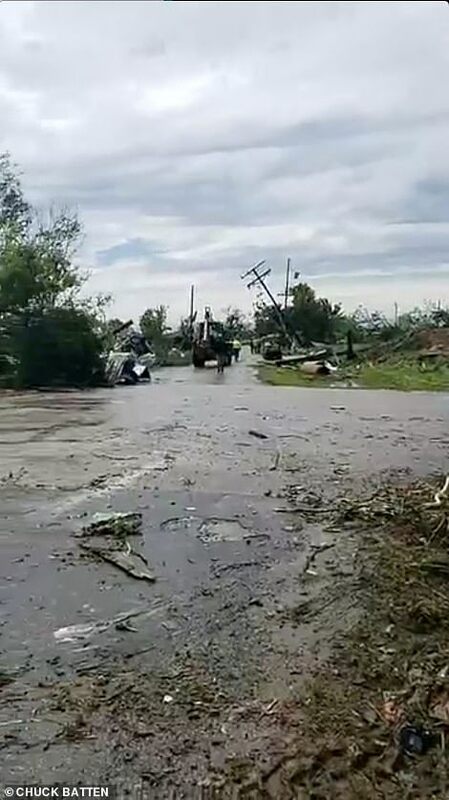 The debris on the campus may have been dropped by a tornado that had been confirmed on the ground southwest of the campus. 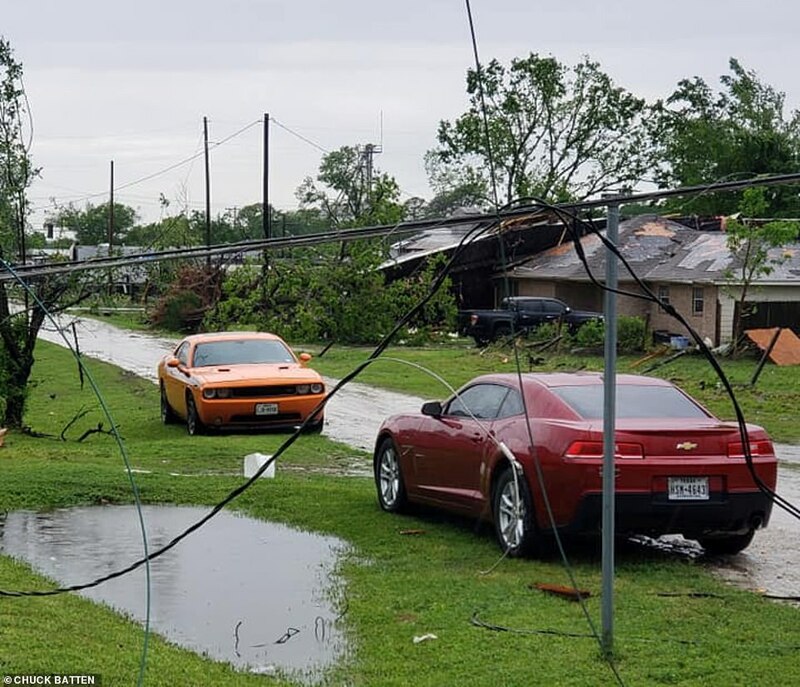 Air travel was also significantly impacted at the Dallas and Houston airports. 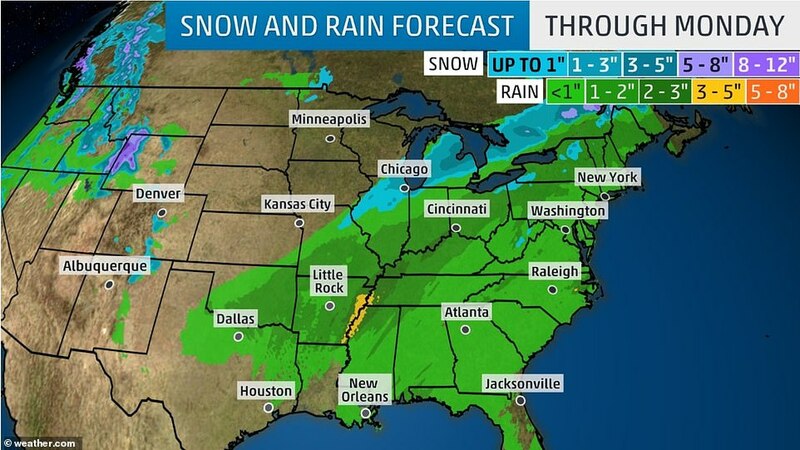 More than 660 flights were cancelled at Dallas-Fort Worth International, according to FlightAware. 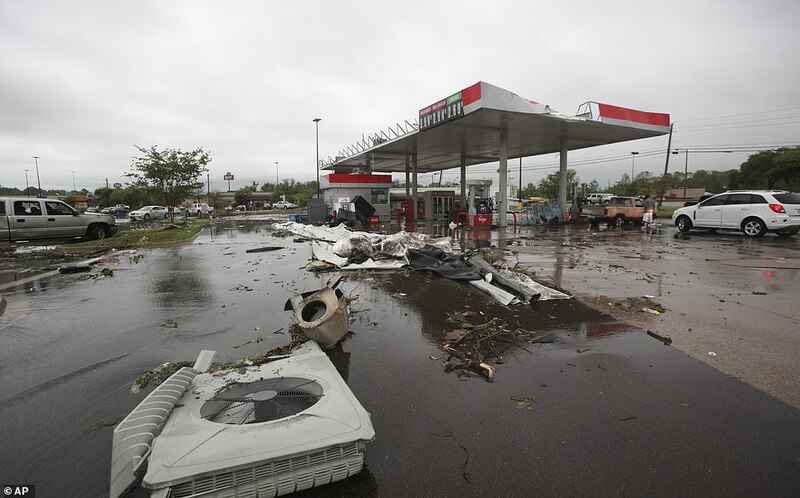 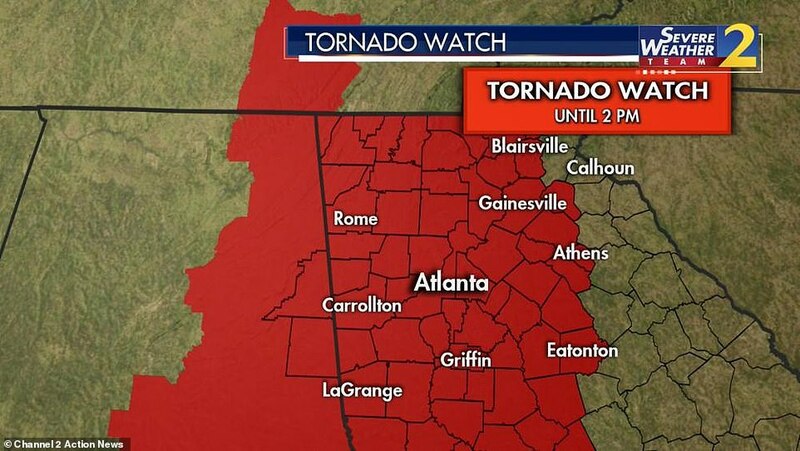 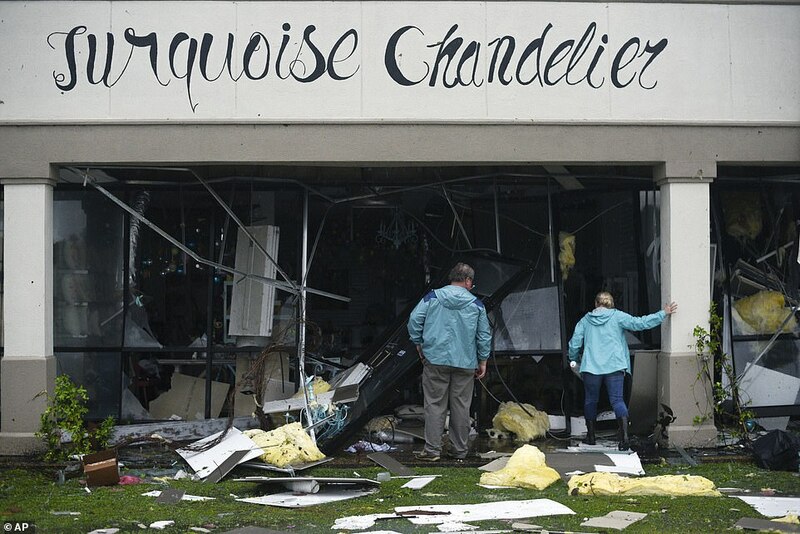 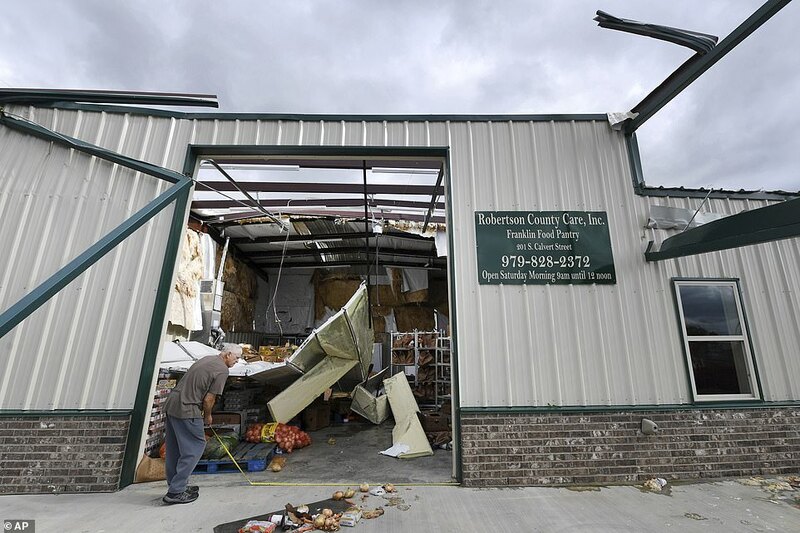 Moore told The Associated Press by phone that meteorologists haven't yet confirmed it was a tornado. 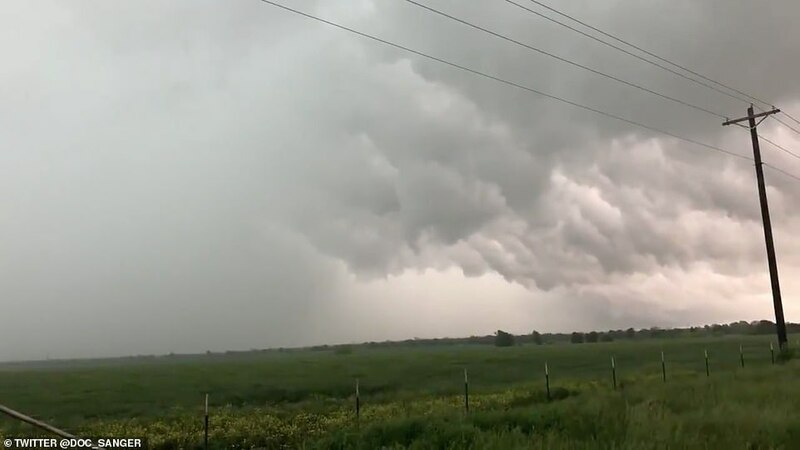 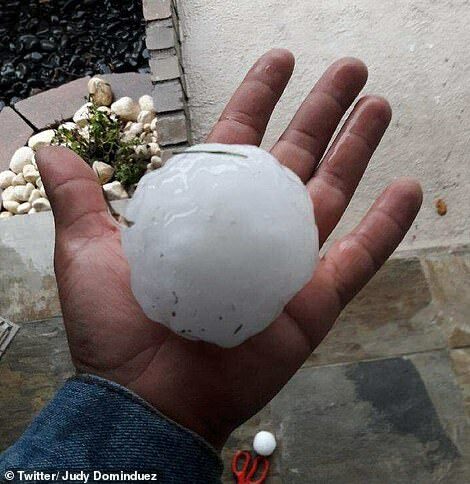 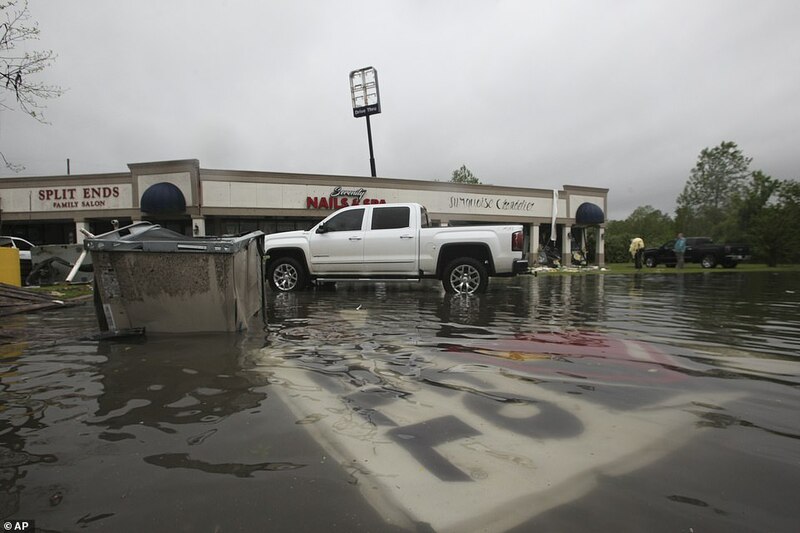 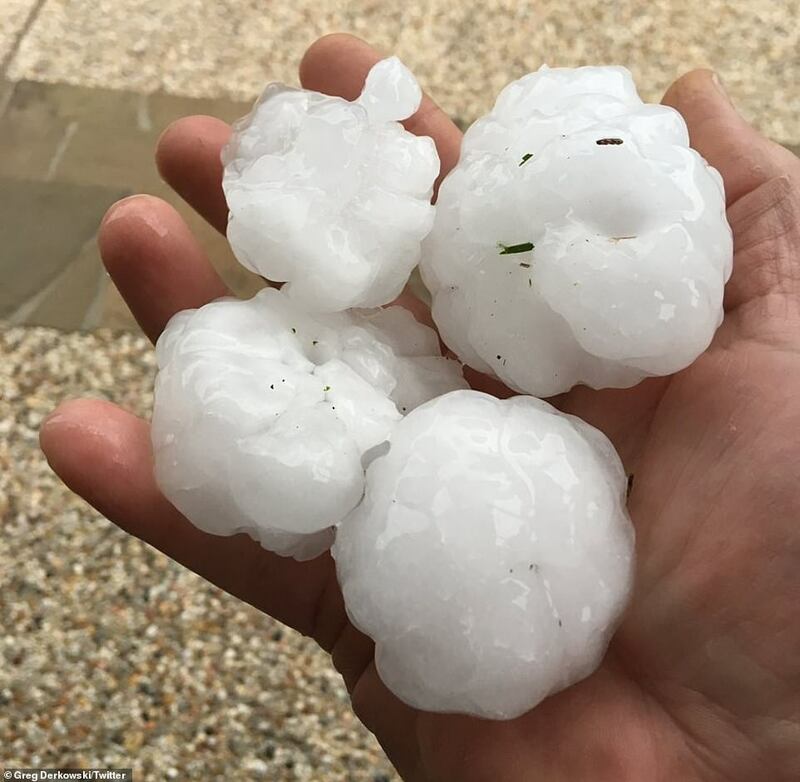 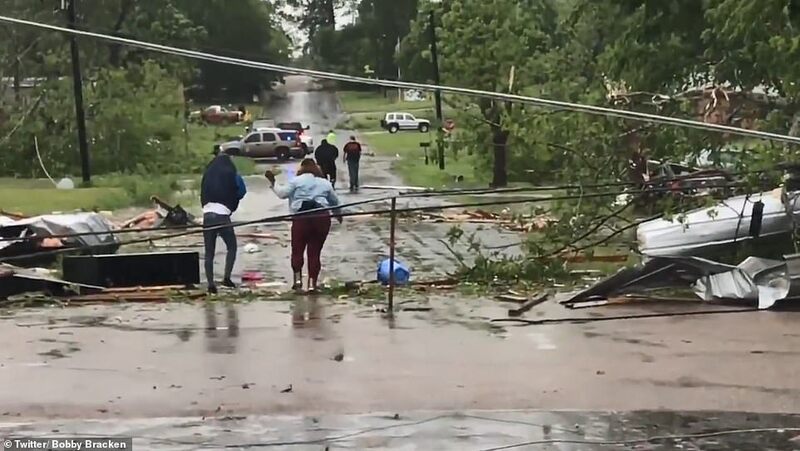 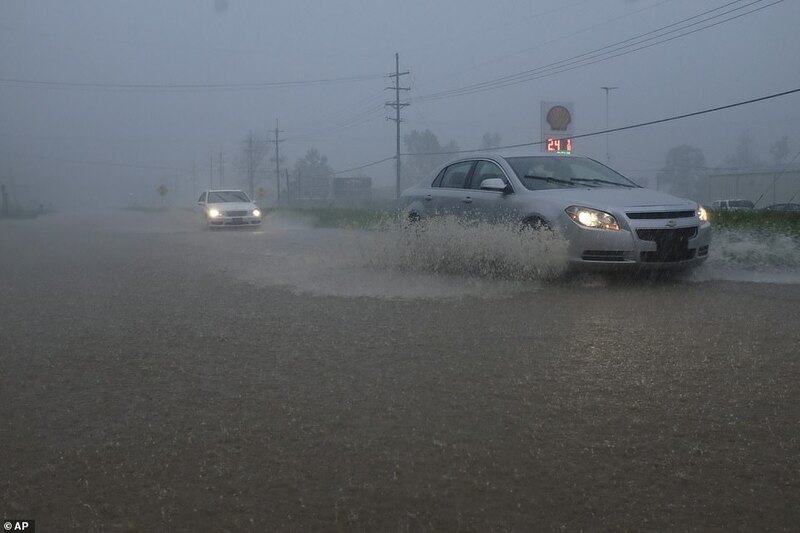 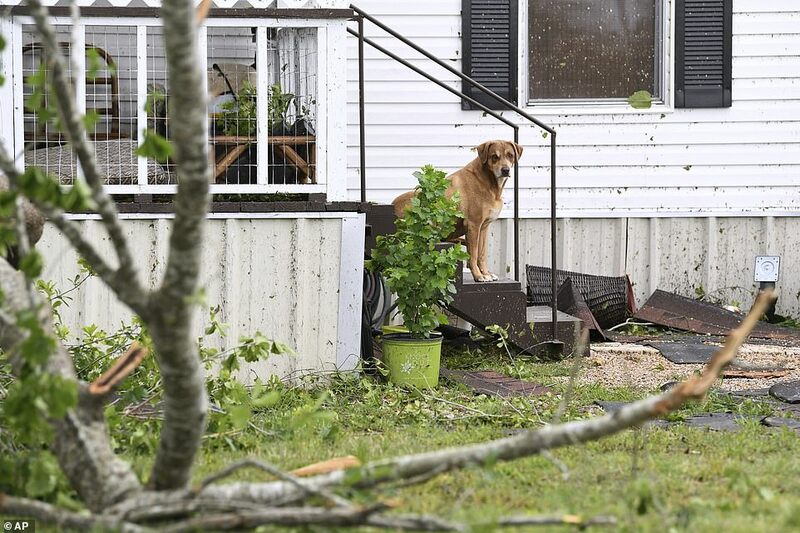 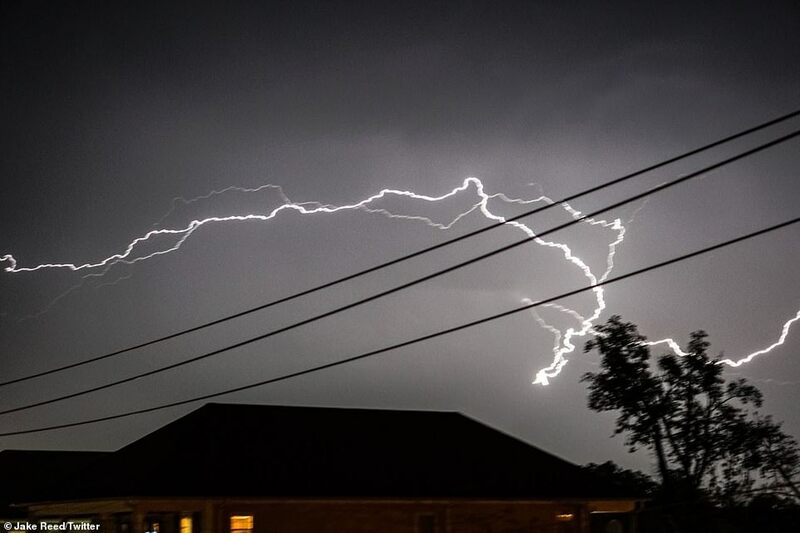 Severe storms crossing a big swath of the South, including parts of Louisiana and Mississippi, have knocked out power to thousands and caused some flash flooding. 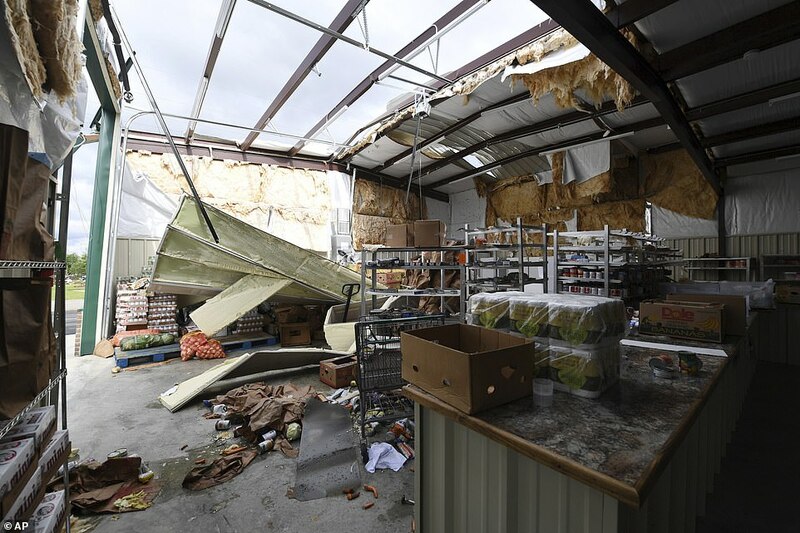 Damage also has been reported near Satartia, Mississippi, from the storms.